Lauri Weber, MFT, LADC is thrilled to be running mini-groups! 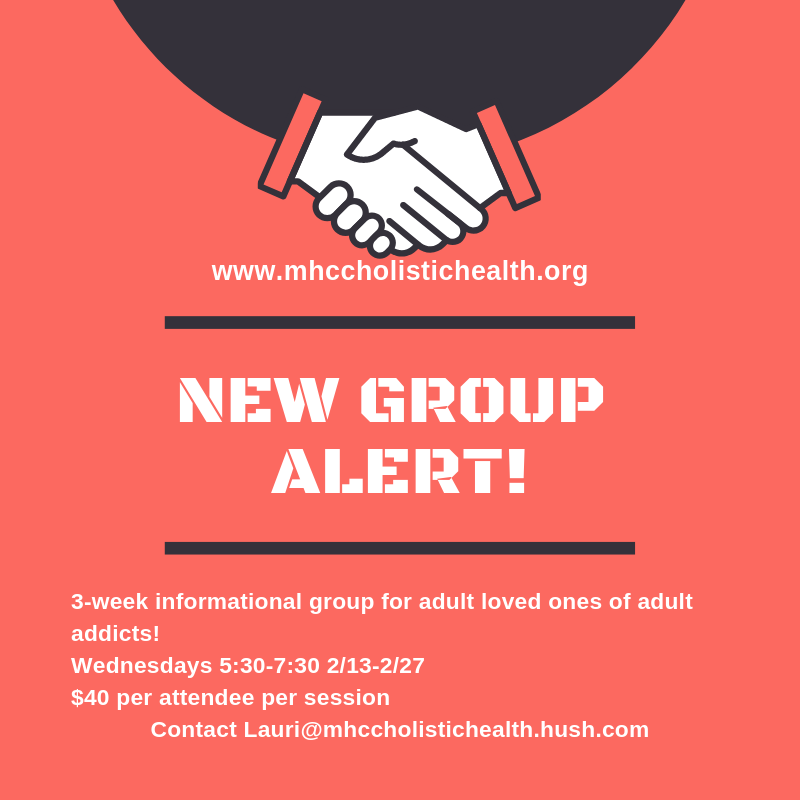 These will be educational groups intended to provide resources, recommendations, and direction for adults whose loved ones are struggling with substance abuse. There will be a separate group each for those whose loved ones are adults, and another for those whose loved ones are youths are emerging adults. If you or someone you love is struggling to set boundaries and create real change within your loved one struggling with substance abuse, or you just want to be in a safe community of others who also experience this within their own personal lives, we would love to have you! Space for each groups is limited! $40 per person, per group. There’s also the added option for ongoing groups, depending on feedback from these groups! Get in touch with Lauri today at Lauri@mhccholistichealth.hush.com to secure your spot! Lauri is also accepting referrals for individual treatment sessions if you’re unable to make groups!